The Eponymous Flower: Has Pope Francis Established a "Secret Commission" for the Revision of "Humanae Vitae"
Has Pope Francis Established a "Secret Commission" for the Revision of "Humanae Vitae"
Does Pope Francis intend to erect a secret commission to dismantle Paul VI's Encyclical? (Rome) According to leaks from the Vatican, Pope Francis intends (or has already implemented) to appoint a secret commission with the mission to examine possible changes in the position of the Church on artificial contraceptives. This was reported by the Vaticanist Marco Tosatti last week. The demand was linked to the current pontificate by progressive Church representatives. Pope Francis so far made ambivalent signals on Humanae vitae . Revision of Humanae vitae ? 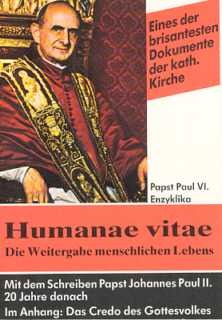 Concretely, the issue was to examine the Encyclical Humanae vitae by Pope Paul VI. with a possible revision.The former Archbishop of Milan had reacted with the encyclical on the anti-baby pill, the sexual revolution and the killing of unborn children by abortion. He did it in the middle of the 68-Revolt, which had just broken loose. On July 25, 1968, he published the encyclical Humanae vitae, with a "prophetic message," as Pope John Paul II says in 1981 in the post-synodal letter Familiaris consortio. Pope Francis also spoke of "prophetic geniality" in an interview of March 5, 2014 with the Corriere della Sera. Contradictory signals from the current Pope, however, do not allow an exact classification of his attitude to ( Karnickel , Zika virus and what Paul VI never said). Although he praised the "geniality" of the encyclical on the one hand, he found praise for the German moral theologian Bernhard Häring, one of the sharp critics of Humanae vitae . Humanae vitae. A "prophetic message"
In 1968 the Encyclical made a clear counter-position to the outbreak of the Sexual Revolution, provoking an outcry from progressive Church circles, especially in the German-speaking world. It thus signaled the break between the more radical progressive Church wing which was triumphant in the Second Vatican Council and even more by the resulting extravagant change in mentality following it, and the Roman pope. It was a break that could never really be fixed. Paul VI was considered to be one of them. As a cardinal, as one of them, which afforded him ascent to the papacy after the death of the Conciliar Pope John XXIII. The exact history of the pontificate of the Montini pope has yet to be written. It is clear that during his reign, there was a change that led to alienation between a part of his former supporters and the head of the Church. After the euphoric early years, with fierce upheavals in the immediate after the post-conciliar time which he had made possible, he was nothing more in the social political storms of the seventies, with their unstoppable march to the left and the dam break with by new divorce and abortion laws, the "lone" man in the Vatican. The rejection of contraceptives, which at the time led to the great baby crash, from which the Western world (except Israel) has not recovered so far, subjected Paul VI. not only to the massive mockery of anti-church, especially feminist circles, but signaled a deep aversion for certain theologians and Church representatives. The German language area was at the forefront. In the autumn of the same year, the bishops' conferences of the Federal Republic of Germany, Austria, and Switzerland were quick to distance themselves from the pope. In three notorious declarations, the Royalsteiner, the Mariatroster, and the Solothurner Declarations, which in fact had the same wording, they said the opposite of what the Pope said: the use of contraceptives is the sole decision of the individual conscience. The three explanations mark the turning-point with which the withdrawal and capitulation of the Catholic Church was initiated in bioethical questions. What was preexisting in the German language area spread to other countries and seeped into the world Church. Today the struggle is going on, whether the Church is officially turning to this unhappy "German" course. The silence of the Church on the mass murder of unborn children, which were supposedly to be prevented by means of contraceptive measures, is a direct consequence of the above-mentioned explanations in the German-speaking world, and has now been publicly effective for decades. New is the silence of Rome, if some do not yet want to believe it. It is no accident that two German and one Flemish Cardinal were at the cradle of the pontificate by Pope Francis. This does not mean that the Argentine pope could not withdraw from his godfathers, as Paul VI. did with Humanae vitae. At the moment there is nothing indicated that he will soon react just as Paul VI when he published the most important encyclical of his pontificate. The rumors about the formation of a commission on the revision of the Church's position on contraceptive means do not point to a foreseeable wind change in this direction. Paul VI. wrote in Humanae vitae, not three years after the end of the Council, but ultimately only what the Council had expressed, but a progressive minority, who was adept at setting the scene in other questions, and who were driven by the wave of the social climate did not want to hear it. So far there is no official confirmation of the existence of such a commission, which is why nothing is known about their composition. Tosatti made an official request to the relevant authorities and asked for confirmation or denial. Neither has been done so far. "What could be have already been a signal," said the Vaticanist. If the thing was utterly untenable, a denial would not be difficult. It is rumored that the Archbishop of Verona, Vincenzo Paglia, has to deal with the presumed secret committee. Paglia, who was the first priest to be bishop from the ranks of the Community of Sant'Egidio , made a curious obituary for the late, radical politician Marco Pannella in the spring. Pannella was the embodiment of the radical Church and family foe. He was an abortion, aberromarriage, and euthanasia ideologist in the truest sense of the word. Against John Paul II, he made the slogan, "Wojtyla go home" and against Benedict XVI. the slogan: "No Taliban, No Vatican." In style, this recalled the despicable dubbing of Pope Paul VI. after the publication of Humanae vitae as "Pillenpaul." Nevertheless, Paglia said last February 17, "His death is a great loss for our country. His spirit lives on. I wish the spirit of Marco might help us." Pope Francis had placed Paglia at the head of two Vatican institutions in August 2016, both of which are closely related to Humanae vitae. He became the Grand Chancellor of the Pontifical Institute for the Studies of Marriage and Family and the President of the Pontifical Academy for Life . Prior to this, Paglia had been the chairman of the Pontifical Council for the Family for four years, and was therefore no less concerned with the subject. Another potential member of the commission could be the Rector of the Pontifical Catholic University of Argentina, titular Archbishop Victor Manuel Fernandez, who is omnipresent in the background , "the great, theological" shoulder of the pontificate, according to Tosatti. But the composition of the staff is pure speculation, as the Vaticanist emphasizes. Unity: "Loving union and reproduction"
Pope John Paul II and Pope Benedict XVI. have supported marriage and moral authority with Humanae Vitae, and resolutely defended the Encyclical, in contrast to the entire episcopates in western states. The core of the encyclical is the unity between "the loving union and the reproduction." The whole movement of life, which seems to be a lost one in lost Europe, is based on Humanae vitae. The Catholic Church is the only remaining "global player" to oppose the mass killing of children. Under the Polish and the German pope, this was so. Whether this is so today, at least, may be at least doubted. It was also not unconditionally applicable to Francis. Not a few bishops have dodged their responsibilities, as did priests and theologians. And not a few Catholics fell into abortion and made themselves guilty. Already fifty years ago, the expert commission established by Paul VI., which was to advise him on his decision, expressed an overwhelming majority in favor of the "Catholic pill," as they said. The conceptual analogy to the "Catholic divorce", which has been discussed since September 2015, when Pope Francis, one month before the beginning of the second family synod, singlehandedly modified the process of the euthanasia, was obvious. "By holding the people to the observance of the natural law of morality, which is established in perpetual doctrine, the Church teaches that" every act of marriage "must be directed by itself to the production of human life. [...] According to these fundamental principles of human and Christian marriage, We must once more publicly declare that the direct abortion of a begotten procreation, especially direct abortion, even for medical purposes, is not a legitimate way to limit the number of children, and therefore absolutely to be rejected. In the same way, the direct, permanent, or temporally limited sterilization of the man or woman must be condemned, as the church magisterium has often shown. Likewise, any action which, either in anticipation or during the execution of the act of marriage, or in connection with it, expires upon its natural effects, is repugnant to preventing reproduction, either as an end, or as a means to the end." Always in the Encyclical Humanae vitae, Paul VI. says the husband and wife have a "responsible parenthood" with regard to "health, economic, emotional and social situation", which also means the "necessary mastery" of "drive and passion" through "reason and will." This worthless Jesuits pope is half way to 81. Hopefully he wont be around to even begin to destroy perhaps one of the only good and righteous things Pope Paul VI ever did....upholding traditional Catholic teaching on birth control, etc. I pray every day that Francis is gone soon, and the Catholic Church gets the shock of its life when the new Pope elected is actually not only a Catholic, but also supportive of (if not actually one himself), Catholic tradition, the Tridentine Mass, and all our rich teachings and heritage. People like Cardinals Kasper and Schonborn would die of fits and strokes brought on by shock. Kasper and Schonborn probably won't be the only ones, Damian. The function of Francis is to dismantle the Church as we know it and to allow a new Church to rise on its ruins. This was prophesied in 1999 by Malachi Martin who was also a Jesuit. Paglia is the one who put up the strange mural glorifying homosexuality at his cathedral. The situation is becoming more and more bizarre. The traditional family and its role as protecting children has to be at the center of the Church or else the suspicion that the devil has infiltrated the Church as realistically seen by Malachi Martin in an enthronement during the reign of Paul VI has more and more validity. If Francis espoused the "morning after pill" in the controversy with the Knights of Malta which is a form of abortion, then you can come to your own conclusions. The Pope and his supporting hierarchy are clearly blind to the demographic disaster of the West. 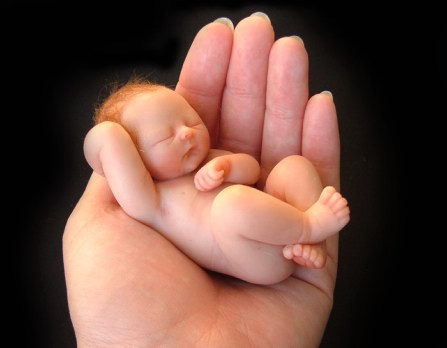 In the meantime, Muslims are busy reproducing at a rapid rate in nominal Christian nations. What fools these Catholic prelates are. Malachi Martin provided more than enough evidence to prove that he was a sandwich short of a picnic. Why on earth do so many people defer to him as the Magisterium? "The Pope and his supporting hierarchy are clearly blind to the demographic disaster of the West." You're blind. There are utterly aware and culpably complicit. They are not on the side of God. The sooner you accept that reality the more the pieces will fall into place. Malachi Matin was 100% straight on accurate about his depictions of both the Jesuits, and the Catholic Church. He was a religious genius, and a fabulous author. He actually knew John XXIII, and also knew that the Vatican II that came out of John's dream was not the kind of Council John foresaw it being, or wanted it to be. He wanted it over in two months, but it was hijacked by the radicals and John was too sick to stop them....he had already written himself off. That was a mistake on his part. But Malachi Martin (even though he got involved with sede-vacantism.....which nevertheless is more Catholic than Francis....Martin was still a great priest, author and Catholic. If I am not mistaken, like many other prophecies that speak of a Pope like Francis, Martin hinted that a Pope like Francis' time would be very short. Genty, I used to be of your opinion, but after much reflection and study over the past 10 years my outlook is similar to Susan's. The Vatican apparatchiks have all the data to hand and they know exactly what the results of their intentions will be. Their dream, and our nightmare, is the making of a new syncretic civilization and religion. Of course it won't work, but they are determined to push ahead knowing it will likely destroy the Christian people of Europe. Malachi Martin involved with Sedevacantism??? Do you have any links for that? Please do not resurrect the Malachi Martin argument when it does not matter at all in this discussion. What he said about the dynamics of corruption in the Church is spot on. Your illogic in bringing him up in the derogatory way you did opens up the possibility that you are one sandwich short of a picnic. 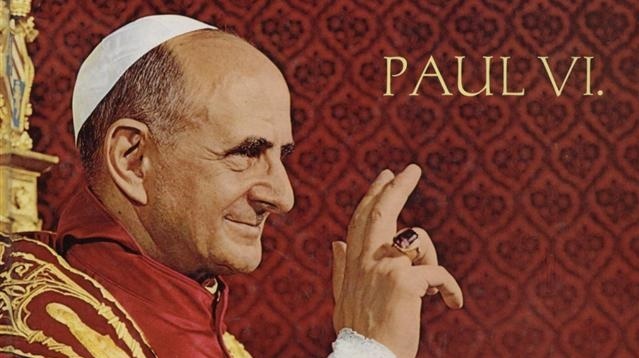 Knowing that Paul vi was a practicing homosexual and one of the great architects of Vatican 2, I wonder if he didn't just publish Humane Vitae to prove to the world that the "Church" still taught some sound doctrine . I wonder if HV didn't help make the changes of Vat 2 more palatable to those who were initially horrified by the changes. Anne Barnhardt states that Paul vi actually castigated priests and bishops who promulgated HV in a strict manner---not sure where she got her info. Well now that the vast majority of the "church" is on board with V2 and AL, why not a revised HV? It's the next logical step in the evolution of the Vat 2 church. I've heard the gossip/rumor before that Paul VI was a practicing and active homosexual before becoming Pope. Certainly I would hope not after. BUt is there concrete, irrefutable proof that he was? Or is this just smear tactics. If there is poorf that he was, it should be exposed so that "Blessed" Paul VI and his Church could be discredited. There's always been the rumor too, that John XXIII was a Mason, or even a Satanist! The former might be true, the later...of course not. But there is also a rumor that John XXIII was a radical, a liberal of the worst sort...like Francis. That he would be pleased with the way Vatican II turned out. His preserved written words contradict this very strongly. Before Vatican II ever opened, there was the Roman Synod in 1961. Radicals hoped that it would break with tradition and open the Church to the world. They moaned when it re-inforced very severely in Rome priestly discipline, the wearing of the habit or soutane, monastic tonsure, enclosure for contemplative nuns, the use of Latin, Greogian Chant, beautiful liturgies, and the re-emphasis that the Catholic Faith is the one true Church. It is as John XXIII wanted. The same kind of people did the same kind og thing at the last conclave.....maneuvered Bergoglio, one of the most radical liberals, as the new Pope. Francis. But this time, from what I have read is brewing, they have underestimated the strength of the traditional Catholic party of Cardinals, bishops, etc in the Vatican and elsewhere. There's going to be a revolt in the Vatican and Church against Francis and his people that will make Nixon's Watergate look like a comedy. The reputation of all the liberals will be ruined, and Francis will either die of shock, or be forced to go, like Nixon was. We'll see it all on TV. "Thus do we see confirmed that which we have been repeating for years: we have irrefutable as well as unmistakable proof that although they are members of the Catholic Hierarchy, the neo-modernists have disobeyed and continue to disobey the constant and therefore infallible Magisterium of the Catholic Church and their own "obedience" which they, in turn, seek to impose in their style of new Church, results in the moral obligation of the true and faithful Catholics to disobey the false orders of their new-style Church." What's the point of even believing they are hierarchy? What good are they if you turn your back on them and resist them at every new turn? The Vatican 2 church is very strange. By God’s Providence, this is ‘the hour of darkness’ for the adversary, but also our ‘hour of mercy’, to repent, do penance (for we are tried like gold in a fire), for the love of God, HIS Church, for the good of saving souls, especially, our own! God has certainly allowed it, and He has allowed it to continue. As Our Lord said.....the weeds, and good wheat, must grow together.....until harvest. Let us not forget the ‘once chosen people’ of the Old Testament, what punishment has come upon them......we ought to tremble. Dare we say; ‘No, to The Royal Way of The Cross’, for this generation! (as was assigned by the Divine Providence in every age). Dare we, to say to Him....’Lord, take this ‘cross’ from us, for the burden of carrying ‘this cross’, is forcing us to our knees, too often. For we have become the laughing stock of the ‘world,’ the enemy ‘within’ mocks us (sounds familiar? ), too many times. Yes we follow Christ, who told us to follow Peter. For where is Peter, there’s the Church. Three things make us Catholic: Our Eucharistic Lord, Our Blessed Mother, the Pope in Rome (in spite of his ‘errors, for only God will judge him).’ Popes are not perfect, nor they are under the obligation of being objectively infallible all the time. It is good to keep that in mind because we owe him obedience in matters of morals and faith. We must ‘discern’, but not ‘despair’.....God forbid! O ye angels, archangels, patriarchs and prophets, apostles, all ye martyrs of Christ, and all you saints, orate pro nobis! Well said, Barbara Jensen! So many know-it-alls running around and smearing those who have fought for Tradition. 'Malachi Martin & Rama Commerswamy"
There are pics of M.Martin serving during a traditional ordination. Wow! This is really loopy stuff!!!! !